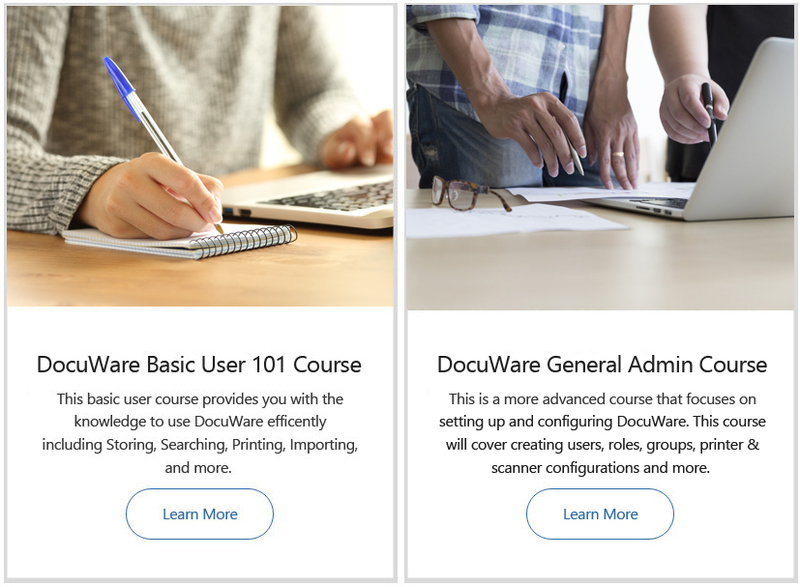 Whether you’re an established professional or completely new to DocuWare, Miken Technologies’ online DW Training Academy training course will give you the expertise to work with DocuWare on any level. From the front-end desk and all the way up to the highest administrator levels, Miken Technologies DW Training Academy covers the very basics for end-users as well has advanced configurations and features for IT Administrators. Learn on your own schedule and at your own pace. Miken Technologies DW Training Academy offers in-depth video lessons, tutorials, and quizzes. Each course is taught by seasoned DocuWare-certified professionals from The United States and offers a no-frills, real-time overview and explanation of various DocuWare best practices, components, modules, and more. Miken Technologies DW Training Academy is built for businesses and organizations who want to fully train their managers and staff on how to effectively use the powerful features of DocuWare. We offer Corporate Memberships for $50/month which grants access to all Miken Technologies DW Training Academy courses. From here, the account holder can register individuals within that business or organization to take the training courses. If you are currently a Partner with Miken Technologies, you will be granted access to Miken Technologies DW Academy in full for FREE! By signing up to Miken Technologies DocuWare Training Academy you have implicitly accepted our terms and conditions. These apply to all available courses. *Completion of any Miken Technologies DocuWare Training Academy courses does NOT officially certify, or re-certify you for technical or sales training through DocuWare Corporation. Miken Technologies DocuWare Training Academy is not officially affiliated with DocuWare Corporation. The training courses presented on this website are produced by a DocuWare Platinum Level Partner and are for training and education purposes only.